It has emerged recently that the release of the second instalment from Kanye West’s fashion line, Yeezy, has been postponed, much to the disappointment of eager fans. The collection which debuted at New York Fashion week in September 2015 was due to hit shelves this year in line with retailers Spring/Summer season. However, in an email this week the CEO of the fashion brand, Pete Fox, announced that they intend to innovate in the way they release their collection. It will not be tethered to the traditional fashion calendar, instead opting to move towards a season-less release. What this means is that pieces from the collection will only be delivered over the course of the year. In his email, Fox explained that the entire collection will not be produced on this occasion, but that the following collection, Season 3 will not be affected. The silver lining in this instance is that the footwear range, in association with Adidas, will go ahead as planned and is set for worldwide release on the 6th of June. 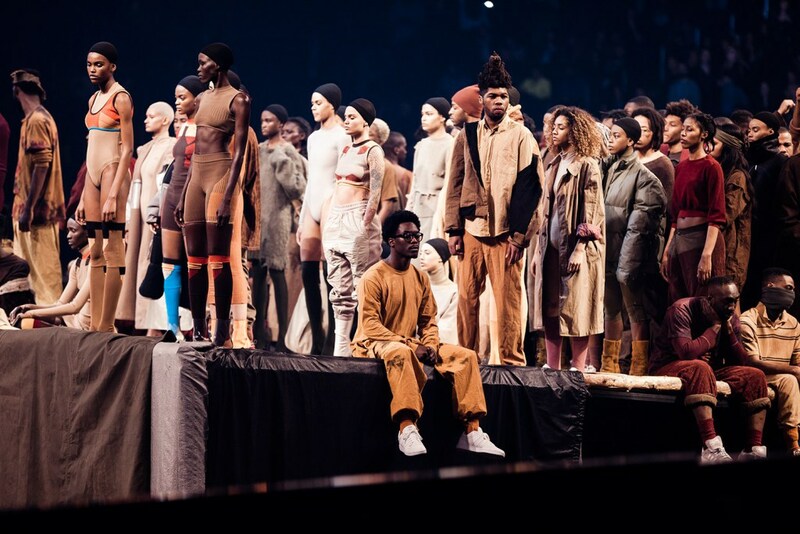 West’s Yeezy collection received mixed reaction after its debut with some critics slamming the looks as erring too far on the side of dystopian fiction design. Others have suggested that his work blatantly borrowed from other much more established designers. West’s own response to this, aired on Twitter back in March, is that ‘…these journalists can give their opinions well these are mine…yes I believe in my ripped homeless sweaters!! !’ He went on to explain that his inspiration comes from his own environment in LA, ‘I like T-shirts and women in yoga pants… I live in LA that’s what people wear…’ One thing’s for sure, Kanye has never been one to waver under the pressure of public opinion. While a relatively new figure in the high fashion world, West has undoubtedly managed to stir up a storm in terms of media interest in his brand by aligning release dates with those of his musical offerings. On this occasion, however, despite the media interest in Season 2, it appears that consumers will now find it difficult to get their hands on the product for the foreseeable future. This has not prevented the man behind the brand from forging ahead with new plans. West has given hints about his future plans for Yeezy on Twitter. With Season 3 having debuted in March of this year, speculations around future collections have been fuelled by suggestions from West himself that Season 4 will feature mainly children’s fashion. Other clues point towards a planned collaboration with Paris fashion house, Hermès in the future. Yeezy is a brand which continues to surprise and we will certainly be watching this space eagerly to see what Kanye West’s next move will be. Comment below and let us know how you feel about this development!